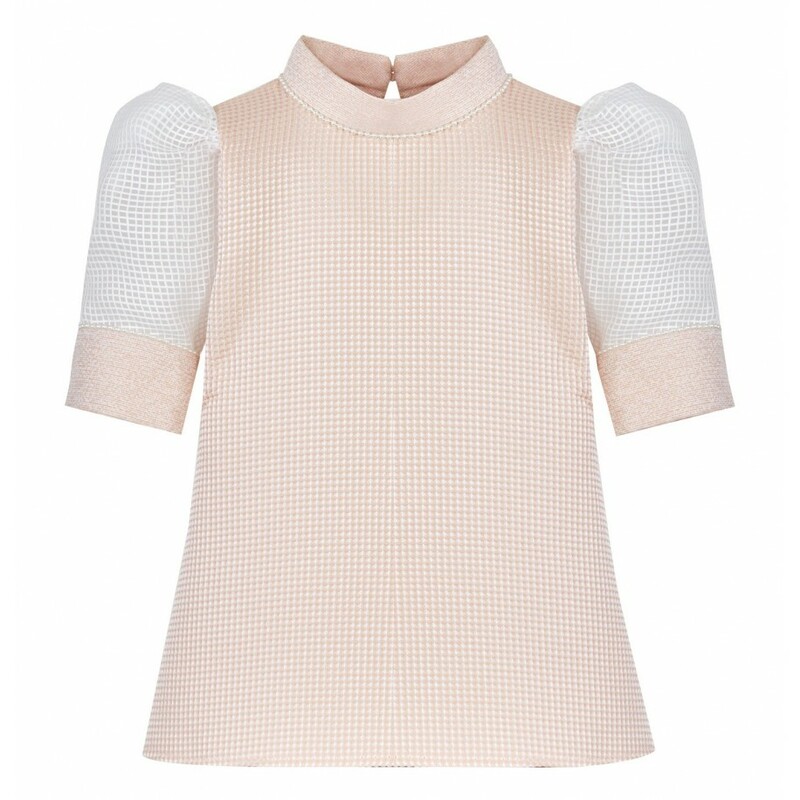 The girl's blouse AW17 PETITE LOOK 03 Poca & Poca emanates with refinement worthy of a little princess. 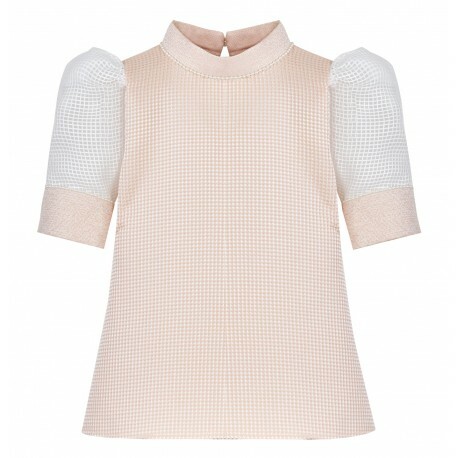 Seemingly modest fabric in docile shade of an appricot conceals a discreet checked pattern and tasteful add-ons add a unique style to the whole. 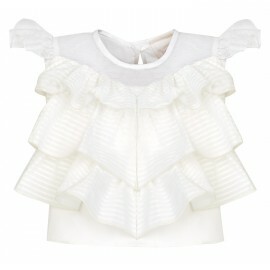 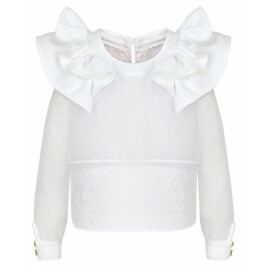 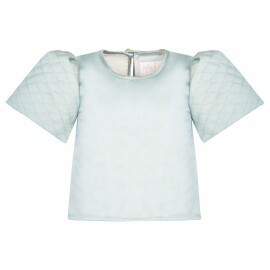 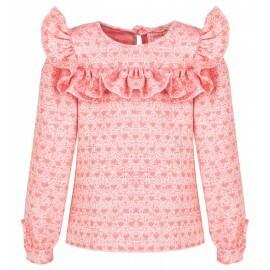 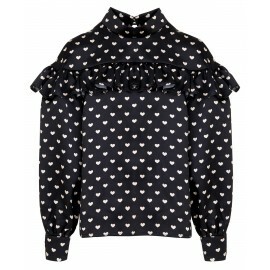 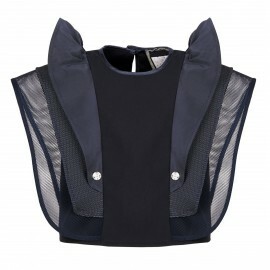 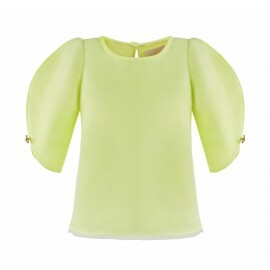 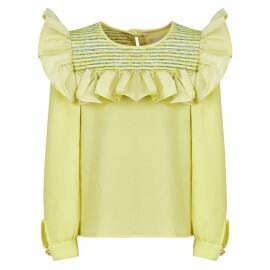 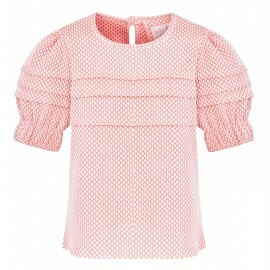 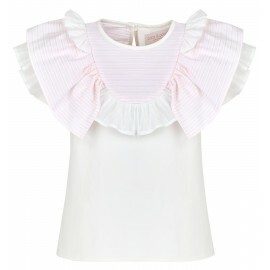 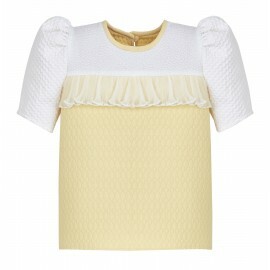 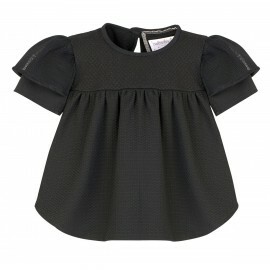 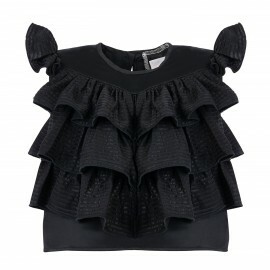 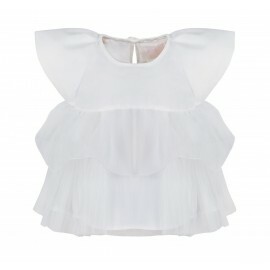 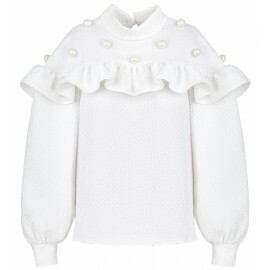 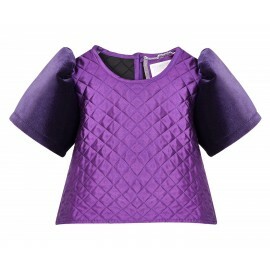 Stand-up collar contrasts with the fineness of petite pearls, while thanks to the puffed, transparent sleeves this elegant, girl's blouse gains butterfly-like airiness.